Welcome to the world of Deepak. – My Passport Renewal Process – Shocked by the Experience. I had taken my Passport in 2005 just for namesake but it was used for the first time when I travelled to USA when I was working in Google. Got a multi-entry visa thanks to that trip and eventually went to Dubai and Nepal, though I didn’t get stamps in my passport. However, after that, there were not any trips planned and eventually I even forgot I had a passport. Anyways, this was a good opportunity for me to update the permanent address, Spouse details in the passport. So, I went to the online portal — passportindia.gov.in and created my account with my details. Gave as much information as possible and then submitted an online application under Passport Reissue cos of Expiry category. I got an appointment in the Lalbagh’s Passport Seva Kendra for February 2nd, 2016 at noon 2.45PM. Anyways, that entire week I had planned to take my paternity leave, so that wasn’t a problem for me. I landed at the Passport Seva Kendra (PSK) at around 1.50PM and the previous batch was being called there. We stood in a queue and a lady came up with a megaphone and called up my batch number. She checked the appointment details and asked me to enter the PSK office premises. The way this works is – First you enter a row of counters, where they verify your xerox copies of your documents and give a token number. Then you have to enter the counter’s zone. There are 3 counters to cross – A, B, C and then exit. That’s all. My token number for A counter came within 10 minutes. Here they verified my xerox copies again, asked me to confirm all the details, took my biometrics and then my photograph for the passport. This hardly took 15 minutes. Once done there, I was directed to Counter B. This is where I had to wait, atleast one hour. However, once my turn came, they verified my original documents and cleared me for counter C. They took hardly 5 minutes to verify my original documents. Another wait of 15 minutes and my token number was called for counter C. Here they verified my originals again and the process took a maximum of 10 minutes and that was it. I Just had to collect an acknowledgement which had my file number for reference and then I came out of exit. The entire process took hardly 3 hours. I was really amazed by the efficiency of the process there. Thousands of people coming in for new passports or getting their passports renewed but, there was hardly any process related issues. Your work is relatively easy if you carry all your original documents and xerox copies correctly. You are supposed to carry 2 copies of all your documents with your attestation. I had 2 xerox copies of all these documents and took all these originals, that’s all. I had submitted the online application on 3rd week of January. The appointment was on 2nd February where I submitted all the documents. 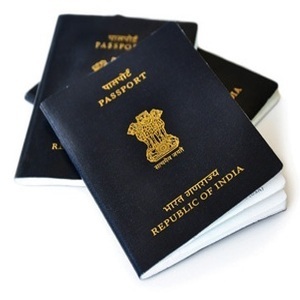 On 4th February, I got SMS confirmation that the passport is being printed. On 5th Feb, I got confirmation email that my new Passport has been dispatched by Speed Post. On 6th February, I got my new passport on hand. The entire process taking hardly 15 days. Who would have thought this is possible in India. I remember how I got my original passport done in 2005, where I had to run pillar to post to get basic information. Now, here we are in a system, where we get a passport within 15 days.